Rumor: Isabelle from Animal Crossing a playable newcomer in Super Smash Bros. UltimateWe got a rather substantial information dump about Super Smash Bros. Ultimate during Nintendo’s E3 2018 conference. The draw of the game is that every fighter that has ever been playable will be returning. 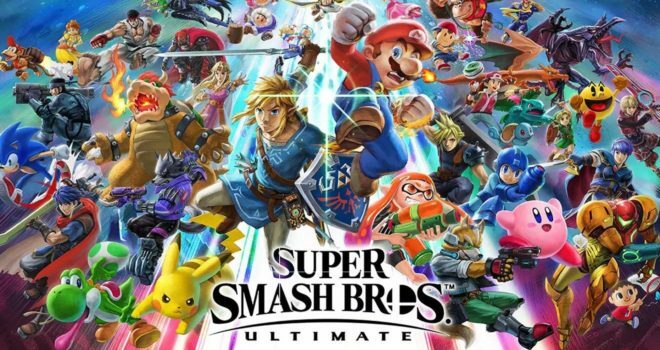 Masahiro Sakurai commented that he was kind of hoping we weren’t expecting too many newcomers this time as the development team ensured that the return of the veterans was the number one priority. Despite this, there have easily been hundreds of leaks and rumors that have made some rather bold predictions. Most of these are obviously fake. One prominent leaker — Vergeben on Gamefaqs and Reddit — has proven himself to be more reliable than most would have expected. In the eyes of many, the prediction that Ridley was playable was all the “proof” that was needed in order to disconfirm Vergeben’s statements as it was always believed that Ridley would always be too big to be playable. The Japanese peripheral maker Hori was only in the headlines recently, warning customers about a Switch battery-draining issue currently linked to its left-hand Joy-Con featuring a full D-Pad arrangement. While we got the official word from the manufacturer this would be fixed prior to the controller’s release in Western markets, the latest news is it will be arriving locally in September for $25.00. The announcement comes via IGN, with the other part of the reveal being the controller will be available in Zelda and Mario-themed designs. Obviously, this isn’t the first themed controller Hori has worked on, with the accessory manufacturer also recently revealing Mario, Zelda and Pikachu design for GameCube-inspired Pro Controllers. Some vital information that appears to have been forgotten is the fact the controller is for handheld use only, as can be seen on the packaging above. According to the source, the low price point of the Hori left-hand Joy-Con has been achieved by excluding a number of features including Bluetooth, Gyrosensor, HD rumble, a battery and the SL/SR buttons. As a result, this makes traditional couch play with the controller impossible as it is unable to be used with a grip.